These reports help local businesses better connect to their local customers! Social Media, Reputation Management and Mobile are an important consideration. 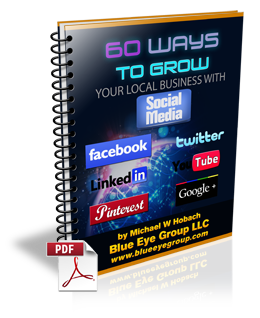 Hi, I’m Michael Hobach and I’ve created several FREE reports to help you grow your local business. We talk about ‘SHOP LOCAL’, but what do local businesses do to grow their business in a local environment? These reports will help any and every local business better connect to their local clients / customers! You don’t need to join my Email list or give any personal information. Just download your FREE copy of these reports and discover what you need to do to grow your local business! If you need help implementing the items in these reports, feel free to contact me and I’ll be sure to guide you through the details to grow your local business! 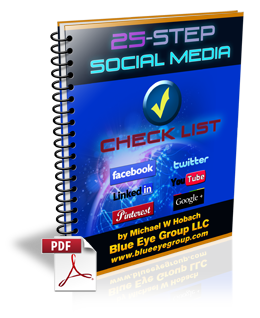 There are currently billions of worldwide registered users on the major social media sites. While it’s a good idea for businesses to have accounts on each social media platform for maximum exposure, not all social media sites are created the same; and what one can do you for you, another may not. Consider the following tasks, and determine an actionable plan to put forth the effort. Chances are that you cannot personally put in the time it takes to manage your accounts and will need the help of a partner, or a professional social media manager to get the job done. Setting up Accounts: Before you get started, you’ll need to take the time to properly set up your accounts. Content Sharing: Consistent, yet engaging, content is by far one of the most important things that must be done to grow your business. Answering Questions and Comments: You’ll need to check your social media accounts periodically throughout the day for questions and comments. To get started, consider the main advantages you want social media to provide for your business. For example, if your main goal is to increase sales and revenue, then your goal should be to improve your brand awareness. This can be done by creating consistent, authentic content that gives people an in-depth look at what you can offer. This will also help to improve your online reputation. Companies that consistently update their content and check in with their followers are typically thought of as a reliable business, and therefore more customers may follow. If you want to convert your social media followers into paying customers, you’ll not only want to provide valuable content, but consider offering incentives, such as free samples, service coupons, or anything else that would give people a reason to become paying customers. It may seem that none of your efforts are producing results, and you may feel like giving up the entire notion of being successful on social media. If you find yourself losing interest, consider tackling social media with new videos, photos, or anything that will excite you, and in turn give people something to talk about. Remember, you will get out of social media what you put into it, and as with any other type of marketing, it takes time, effort, and dedication. Most business owners overlook several important things that are going on outside of their business that directly impact their bottom line. When was the last time you looked online to see what people are saying about your business? A lack of good reviews is just as bad as no reviews at all. There are several easy ways to fix this and give your business the high visibility that it deserves. You’re probably thinking: online reputation management is expensive and unnecessary for small businesses. However, this is not true at all. 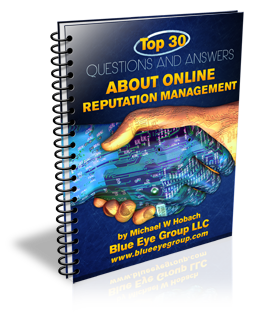 In fact, using online reputation management is extremely cost-effective compared to the expenses your business could incur if your reputation is severely damaged. In addition, the sales you lose because of a negative online image could eventually cripple your ability to bring in new customers /clients. By implementing some simple online reputation methods, you could take your business to another level. Furthermore, online reputation management will help you establish credibility and trust amongst potential customers. It will also give your company a more memorable identity while building your brand. Due to the growth of the internet and mobile smartphones, things have changed tremendously when it comes to the most effective ways to generate more local customers. Mobile coupons are special discount codes, product offers, and other exclusive offers, that are delivered directly to your customers’ mobile devices via text messaging. 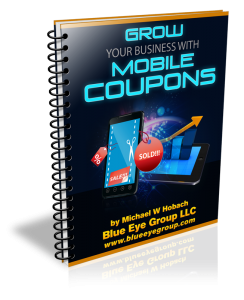 In other words, mobile coupons are an effective way to send interested parties the latest discounts from your brand by setting mobile alerts so they are notified immediately. This, in turn, encourages additional sales. As a result, you don’t waste precious resources by blindly targeting the masses; only the people interested in your offers will receive your messages. Are you still trying to figure out if this whole Text Message Marketing thing is right for your business? Do you even really know what it is? Short Message Service (SMS) or “Text Message Marketing” is the process of using text messages to advertise products or services directly to your customers’ mobile phones. 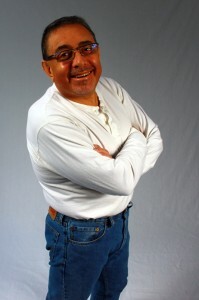 Using traditional advertising mediums such as television or newspapers can be very expensive. E-mail marketing is great if you are trying to reach a much broader audience, but Text Marketing is an effective way to build a LOCAL audience. The “immediacy” of Text Marketing coupled with the fact that most people read their text messages within minutes makes it a powerful promotional tool for just about any business. 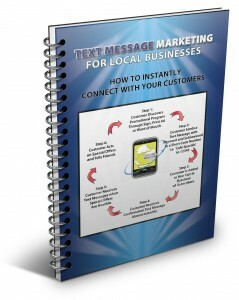 This simple guide explains Text Message Marketing in easy to understand terms. If you are not a technical person, this is the guide for you! Download your copy. We respect your privacy - we will never share your Email address or personal information! 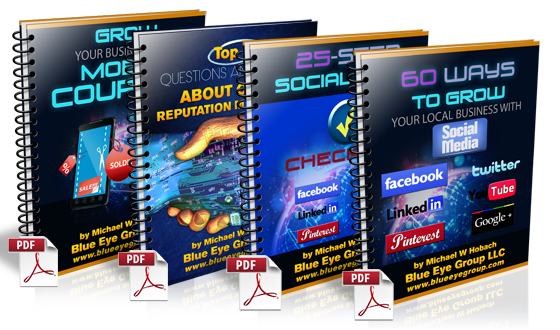 Blue Eye Group is a Waterford WI based web design, SEO, PPC Management and digital / Internet marketing firm. Servicing Waterford, Burlington, Union Grove, Racine, Mount Pleasant, Caledonia, Muskego, Wind Lake, Oak Creek, Kenosha, Delavan, Elkhorn, Walworth, Pewaukee, Mukwonago, East Troy, Lake Geneva, Waukesha, Milwaukee, Brookfield, New Berlin, Greenfield, Franklin, Wauwatosa and other Southeastern Wisconsin communities.